The pixie haircut is one hairstyle that can be intimidating to pull off, but as shown by these celebrities who took the big chop—the results can look fabulous. If you are thinking about getting a pixie haircut, then take some tips from these stars. From Tyra Bank’s freshly cut pixie to Halle Berry’s famous short ‘do, here on WardrobeTrendsFashion.com, we have rounded up 10 celebrities who can rock the pixie hairstyle like they invented it. See all the pictures below. In November 2013, Jennifer unveiled a blonde pixie haircut. Tyra revealed a pixie cut on Instagram in March 2015. Keira sported a highlighted pixie haircut. Nicole debuted a pink pixie haircut earlier this year. 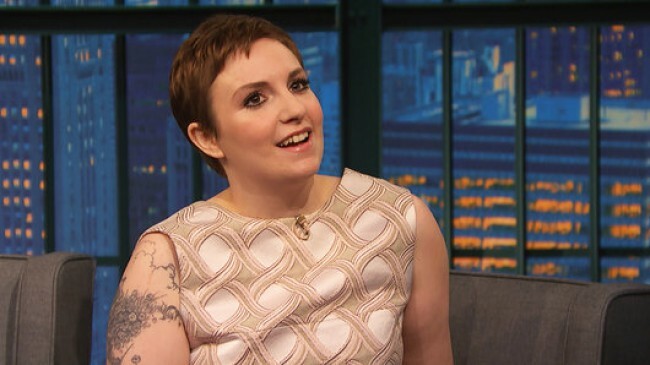 On ‘Late Night with Seth Meyer’, Dunham’s pixie hairstyle stood out.